SABIA-Mar 1 (Satélites Argentino-Brasileño para Información Ambiental del Mar), formerly known as SAC-E (Satellite de Aplicaciones Cientifico-E) is the Aregntine satellite part of a joint earth observation project bwtween Argentina's CONAE and Brazil's INPE. The SABIA-Mar program has been conceived as an earth observation mission primarily aimed at studying the sea and coastal areas, which will provide an important source of information for ocean color research at regional level and will be a helpful contribution for international studies. The electro-optical payload includes by two multispectral cameras in the full spectrum and infrared range, and one thermal infrared camera, among others. The main objective is to monitor de oceans, and in particular, the coasts and inshore waters of South America. The satellites will collect data and provide information related to water and food production and the ocean color analysis will be complemented with surface temperature information in order to have a better understanding. They will allow to estimate the chlorophyll concentration, turbidity and phytoplankton primary production. Furthermore, water quality changes, algal blooms at sea and continental water bodies and coastal sediment dynamics will be monitored.The data obtained will be relevant to study the ocean color and to rationally use the fishing resources. Furthermore, it will contribute to climate change research. 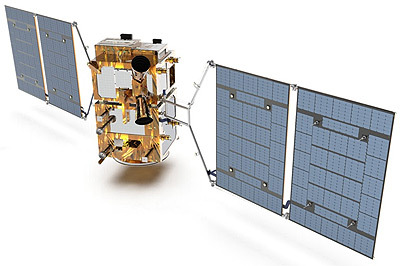 INVAP S.E., the main contractor of the SABIA-Mar 1 satellite, is in charge not only of designing, manufacturing, assembling and testing the satellite, but also of supplying the mission with two of the three main cameras. With an expected lifetime of 5 years, Sabia-Mar will be launched by 2022. It will be located in a sun synchronous orbit which will allow obtaining images of the same point on the globe every four days.